Buy Isara Baby Carrier Caribbean Dream from Sling Spot! 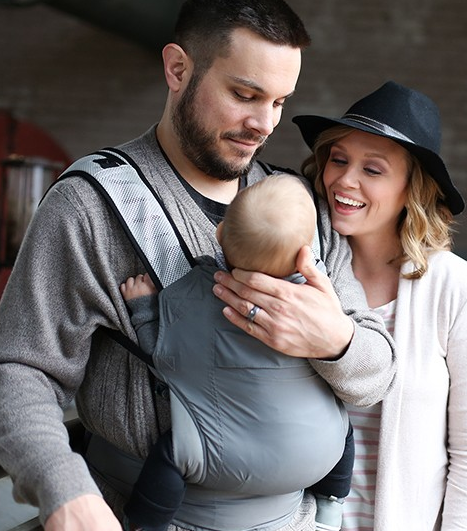 We love the Isara Baby Carrier! 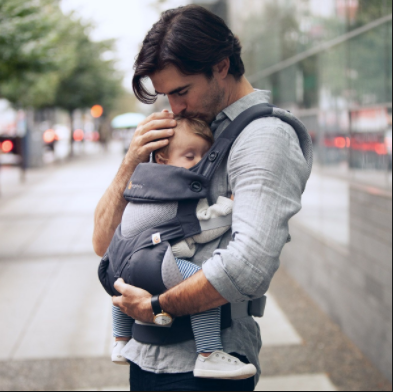 It is so adjustable for babies from a few weeks old right up to toddlerhood and beyond, due to a clever velcro setting on the waistband that changes the panel width to fit. The panel height can also be amended for babies who like arms out, want a head rest on one side, or for extra height as baby grows! The straps can be worn crossed or rucksack style and the side straps have dual adjustability for ease of tightening. The carrier can be used on the front or the back or the hip! The Isara Baby Carrier Caribbean Dream has a fun and summery print, with flamingos and tropical leaves. ISARA is an ergonomic soft structured carrier for babies and toddlers, which is very adjustable for different sizes. The adjustable width of seating represents the biggest novelty of the ISARA carrier, making it perfectly suitable for babies from over 4 weeks, and for toddlers. The adjustable seat ranges in measurement from 26cm to 38cm. ISARA is optimized for an ergonomically correct positioning of the child, with the level of the knees above the level of the bottom, in the M shaping. The body of the carrier is also adjustable, it can be lowered or raised, on both sides or asymmetrically. Raising the body panel asymmetrically is very useful for babies, providing head support on one side with free airflow on the other, especially while they sleep. The adjustable body panel feature is useful for toddlers, because they often like to travel with their hands out of the carrier, having more freedom. The fabric is suitable for summer as well as for winter. The decorative fabric is: 100% cotton. Once adjusted, the seat of the carrier will be firmly fixed by using high quality velcro, to obtain the optimum position. The shoulder straps are broad and padded, making carrying comfortable even for heavier children. The shoulder straps can be used parallel in rucksack style, or crossed in an “X” shape. The chest strap, located between the shoulder straps, prevents the straps from sliding off the shoulder when worn in rucksack style. It can be adjusted up or down on the webbing of the shoulder strap, so that the proper height can be chosen for front or back carrying, and can also be completely removed. There is additional legs-out padding as well as padding at the child’s arm area for extra comfort. The waist belt, broad and solid, is made of durable, high quality foam. The design of the waist belt distributes the weight of the child equally between back, shoulders and waist, making carrying easy and comfortable even for toddlers. At the end of each strap are elastic bands to keep straps looking neat and contained. The carrier is delivered inside a box with handle, which also contains a brochure with instructions. Isara is designed and made in Romania. Possible wearing positions: front, hip and back carries. Can be used for children from 4 weeks to large toddler. It is approved for up to 20kg.